Conventional 11-13 CR Strips, Modified 11-13 CR Strips, M13Cr 11-13 CR Strips, CA6NM 11-13 CR Strips, AISI 410 11-13 CR Strips, AISI 420 11-13 CR Strips, UNS J91150 11-13 CR Strips, UNS S41000 11-13 CR Strips, UNS S42000 11-13 CR Strips Supplier in Mumbai, India. 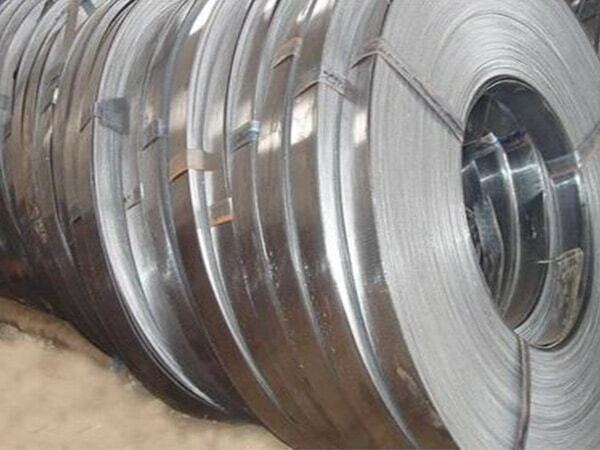 High Corrosion Resistance 11-13 CR Strips, Cracking Resistance 11-13 CR Strips, Hot Rolled 11-13 CR Strips, Cold Rolled 11-13 CR Strips, Polish 11-13 CR Strips, Bright Annealed 11-13 CR Strips, High Quality Flat 11-13 CR Strips Dealer in india. Here at jayesh, we stock a wide variety of product if you want to buy 11-13 cr strips then you can place an order here. The strips are manufactured according to international standards and as per the requirement of customers. These strips are extensively used for most of the engineering applications. 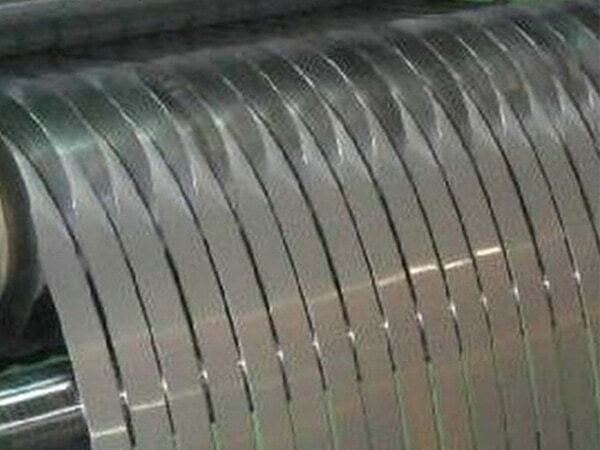 These strips have the impressive property of formability and fabricability use for various fabrication industries, with a low machining cost. With the subject of high loads, these are accessible and oppose crackings on the surface. The strips have permissible corrosion resistance, abrasion resistance, workability, crevice or stress cracking resistance feature. These strips survive in the terms of elevated temperatures with negligible deformations. 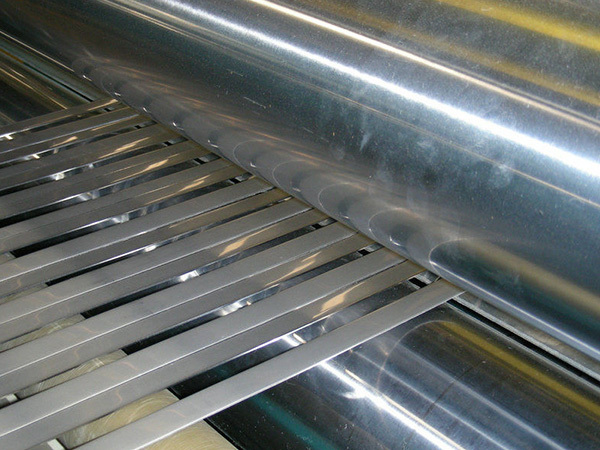 These strips are manufactured with advanced hot or cold rolling process so that these pursue high toughness. Different heat treatment process is done for strengthen strips, finishes by matte, BA finish, hairline and bright black polish. Manufacturers only use high-quality raw materials for the originality of finished products. The cr strips are manufactured by the consideration of ASTM, ASME, DIN, JS or other international standards. These are available in different standard dimensions you can order as per your specific requirements. The cr strips are packed in the form of rolling bundles and wrap in plastics, to prevent from rusting or oxidizing. Exporters stay especially careful about the packing so that none of the damaged product reaches at your doorstep. Before dispatching the product Jayesh Metal conduct numerous quality tests on the product and final examination is done by third parties. 11-13 cr strips are available in most reasonable prices you can buy for your industrial work. 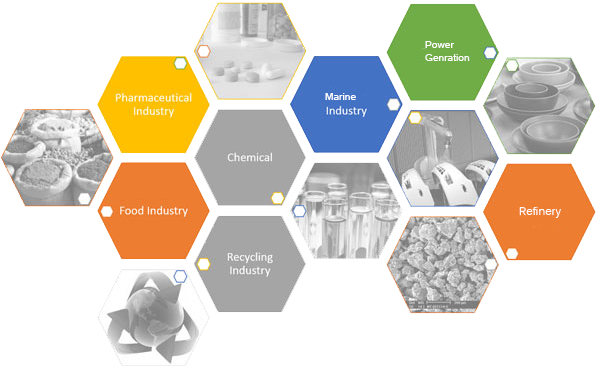 Usage/Application : Automobile Industry, Construction, Oil & Gas Industry, Pharmaceutical / Chemical Industry etc. 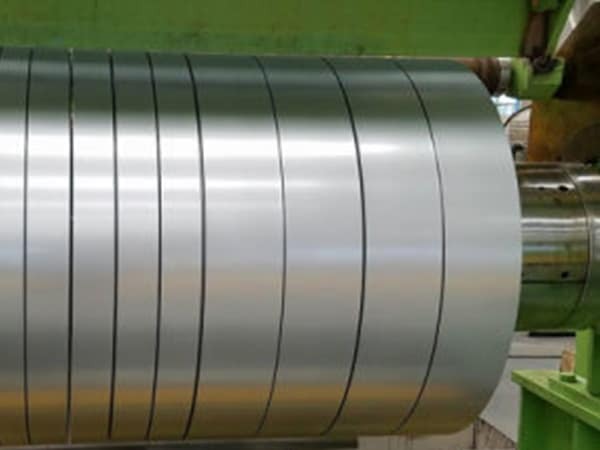 corrosion resistant steel alloys, stainless steel 11-13 cr strips suppliers in india, 13 cr stainless steel equivalent, 13 cr material spec, stainless steel 11-13 cr strips distributors, ss 11-13 cr strips price india, types of corrosion resistant steel, corrosion resistant steel vs stainless steel, stainless steel 11-13 cr strips price, super 13 chrome steel, 13 cr material properties, stainless steel 11-13 cr strips exporter in mumbai, corrosion resistant steel, ss 11-13 cr strips size, ss 11-13 cr strips manufacturer in india, 13cr-l80, polished ss 11-13 cr strips strips, corrosion resistant steel chemical composition, corrosion resistant steel grades, ss 11-13 cr strips supplier, stainless steel cr 11-13 cr strips sizes, corrosion resistant steel properties, ss 11-13 cr strips dealers, 13 cr steel astm, ss 11-13 cr strips stockist, 13 cr chemical composition, stainless steel 11-13 cr strips price list in mumbai, stainless steel 11-13 cr strips, stainless steel 11-13 cr strips supplier in mumbai, cr13 material properties, stainless steel hot rolled 11-13 cr strips exporter in india, 11-13 cr steel, ss 11-13 cr strips mechanical properties, stainless steel 11-13 cr strips price list, 13 cr 410, stainless steel 11-13 cr strips suppliers, cold rolled 11-13 cr strips specification, corrosion resistant steel strips, 13 cr stainless steel properties. Turkey, Brazil, Switzerland, Netherlands, Israel, Nepal, Singapore, Oman, Libya, Venezuela, Slovakia, South Africa, Germany, Vietnam, Yemen, Qatar, Peru, Italy, Jordan, Belarus, Zimbabwe, United Kingdom, Estonia, Ecuador, United Arab Emirates, Mexico, Russia, Puerto Rico, Norway, Canada, Colombia, Spain, France, Australia, Gambia, United States, Egypt, Chile, Ukraine, Indonesia, Sweden, Iraq, Nigeria, Poland, Lithuania, Serbia, Afghanistan, Czech Republic, Trinidad & Tobago,Tunisia, Sri Lanka, Morocco, Mexico, Ghana, Japan, Lebanon, Argentina, Azerbaijan, Romania, Croatia, Costa Rica, Philippines, South Korea, Bulgaria, Mongolia, Kuwait, Bhutan, Pakistan, Namibia, Malaysia, Macau, Bahrain, China, Hong Kong, Taiwan, Iran, New Zealand, Algeria, Denmark, Austria, Bangladesh, Poland, Chile, Finland, Kazakhstan, Gabon, Hungary, Greece, Nigeria, Portugal, Thailand, Belgium, Saudi Arabia, Angola, Kenya, Iran, India, Tibet, Ireland, Bolivia. New Delhi, Haryana, Howrah, Coimbatore, Brisbane, Kolkata, Hanoi, Indore, Doha, Chennai, Lagos, Montreal, Perth, Cairo, Nashik, Geoje-si, Melbourne, Sharjah, Courbevoie, Ranchi, Vung Tau, Ernakulam, Chandigarh, Al Jubail, Los Angeles, Busan, Ahmedabad, Secunderabad, Chiyoda, London, Caracas, Bengaluru, Rajkot, Nagpur, Dubai, Kanpur, Algiers, Rio de Janeiro, Jamshedpur, Visakhapatnam, Ulsan, Dammam, Bhopal, Port-of-Spain, Milan, Muscat, Dallas, Atyrau, Singapore, Hong Kong, Houston, Ho Chi Minh City, New York, Pimpri-Chinchwad, Ankara, Petaling Jaya, Istanbul, Hyderabad, Ahvaz, Granada, Riyadh, Bogota, Karachi, Surat, Lahore, Aberdeen, Gimhae-si, Bangkok, Toronto, Mumbai, Sydney, Seoul, Baroda, La Victoria, Moscow, Mexico City, Santiago, Pune, Colombo, Madrid, Ludhiana, Gurgaon, Calgary, Noida, Abu Dhabi, Kuala Lumpur, Edmonton, Manama, Faridabad, Vadodara, Al Khobar, Navi Mumbai, Tehran, Thane, Jeddah, Jaipur, Thiruvananthapuram, Kuwait City, Jakarta.